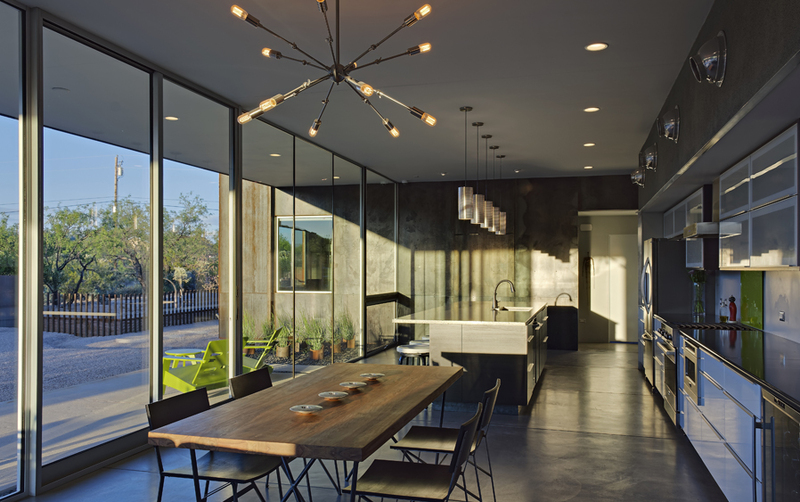 Three boxes connected by a thin floating roof make up this residence on the far north side of Tucson. Each 'box' houses a separate private space; the master bedroom, guest bedrooms, and garage. The outside of the boxes are wrapped continuously with the same material from interior to exterior allowing the living room, kitchen and dining area to dissolve into the landscape.